Commnet has a simple focus of connecting rural America with affordable, carrier grade communications networks to improve safety and quality of life, and to promote economic development. The areas we focus on are predominantly communities of less than 2,500 people, state and national parks, seasonal areas such as ski resorts and lakes, and the roadways that connect these areas to mainstream America. 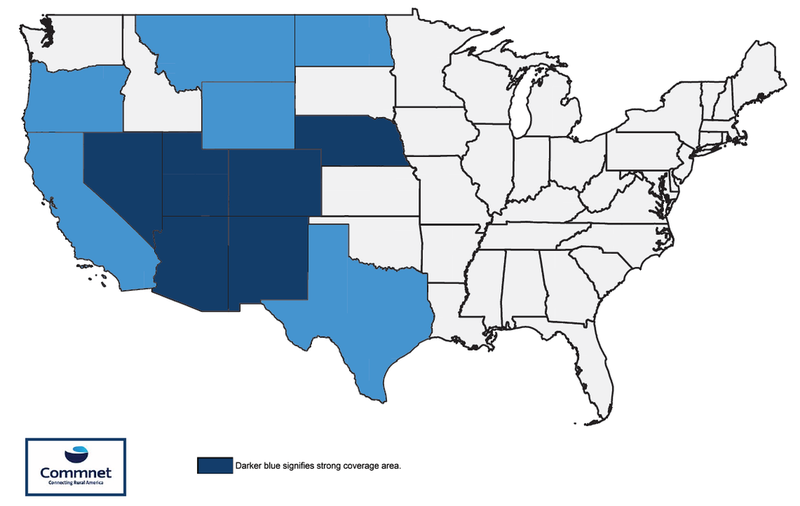 WITH A PRESENCE AS STRONG AS OUR RELIABILITY, COMMNET CURRENTLY MANAGES WIRELESS NETWORKS IN 14 STATES. Our coverage footprint includes several Native American reservations and in some cases is the only wireless communications available in these areas. Our service portfolio covers a wide range of customer needs including retail, wholesale roaming, business and government sectors.